The Uptown Theater is a landmark in Philadelphia’s music history. In its heyday during the 1950s, 60s and 70s, the venue rivaled Harlem’s Apollo Theater as the place to hear great Soul and R&B on the East Coast. 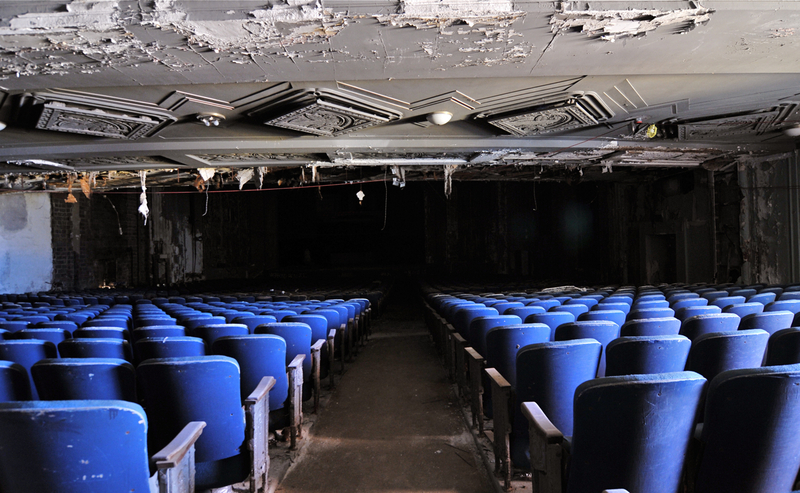 Opened in 1929, the 2,040-seat Uptown Theater was designed by prolific Philadelphia theater architect Louis Magaziner. 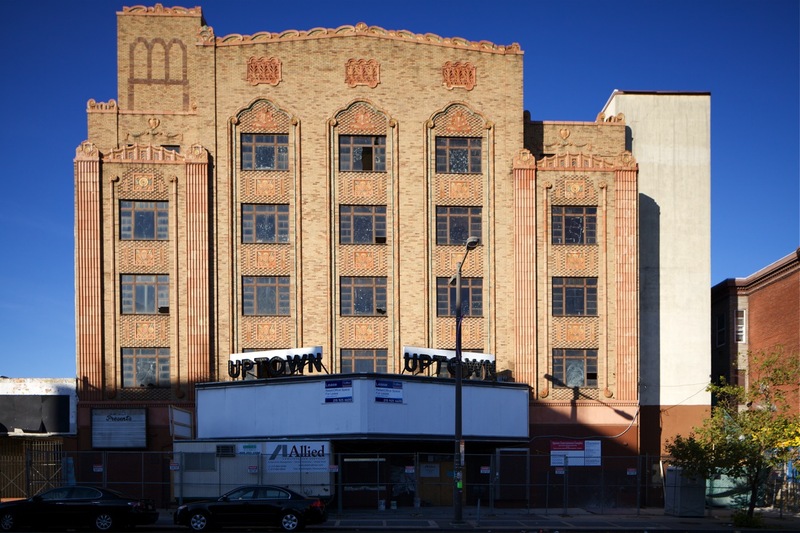 The Uptown is considered perhaps Magaziner’s finest work, a metallic Art Deco jewel box decorated with stained glass and brightly colored frescoes. 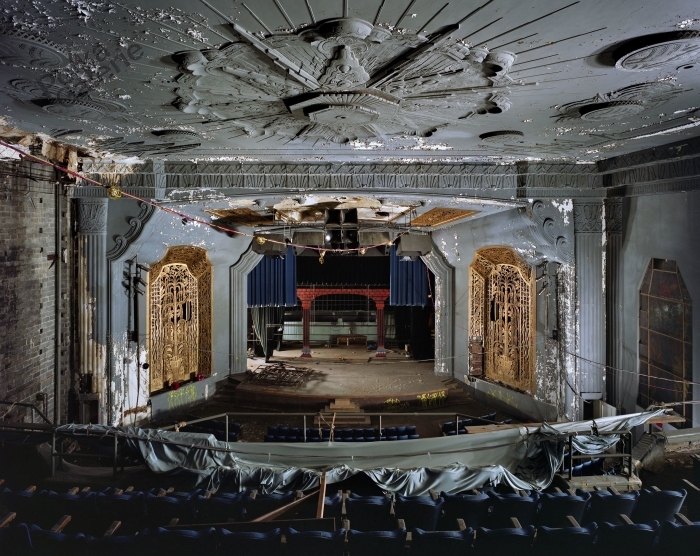 The theater was built for showing talking motion pictures and was renowned for its excellent acoustical quality, however it also served as the last venue for vaudeville stage shows in Philadelphia, from its opening until 1950. By the 1970s, the neighborhood was in decline. Woods produced his last show at the Uptown in 1972, and the club limped along until closing in 1978. Two attempts were made in the 1980s to restore the Uptown to its former glory, but both quickly foundered. 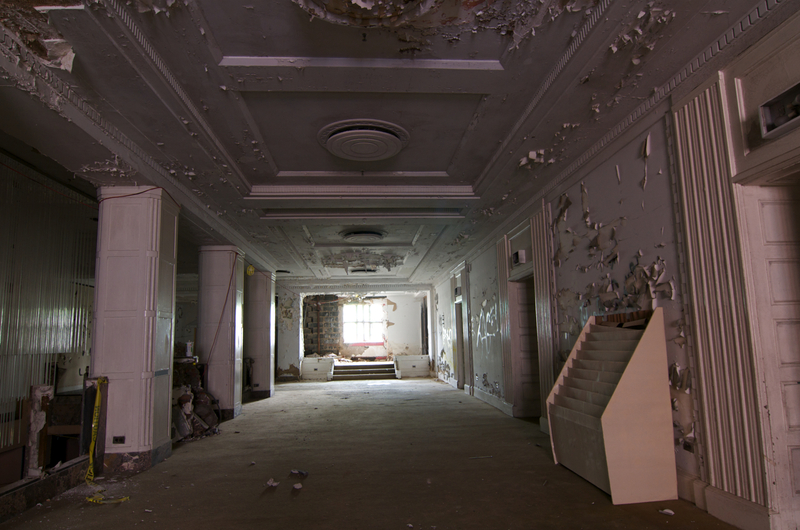 The True Light Community Ministries purchased the theater in 1989, but abandoned the building shortly after a 1991 storm damaged the roof. The Uptown Entertainment and Development Corporation now owns the building, and is in the process of renovating the offices located above the auditorium, which it also plans to restore once funding is secured. Uptown Neighborhood Development Corporation, performers and audience members from when it hosted concerts, neighborhood residents, children in particular. Possible Artistic Uses & Limitations The auditorium space is ideal for performances of all kinds. Seating is intact, and the stage area is still functional. There is a sizable mezzanine area that could be used for installations or performances. The Uptown Entertainment and Development Corporation has collected an extensive archive of oral histories from performers and neighborhood residents. Hidden City Philadelphia has secured provisional interest and commitment to participate from the owners or stewards of prospective sites for the 2013 festival. We cannot guarantee final festival participation for any site, as many are subject to transitional forces, such as changes in ownership or stewardship, development, hazmat remediation, public-private jurisdiction, access restrictions and, in some cases, continued physical deterioration. With that said, we have secured interest and willingness from site owners and stewards to engage in a discovery process with artists, partner organizations, and other stakeholders concerning creative projects and public engagement. The realization of any artistic project for the festival will be the result of a collaborative process with, and eventual collective approval of, Hidden City staff, advisors, community stakeholders, and site owners. Hidden City’s staff are facilitators and advocates with the goal of bringing about a productive and mutually satisfying relationship between artists and the other stakeholders essential to any creative process located in places where art making is not a regular activity.